Want an antioxidant boost? Train for endurance. A study published in AGE: The Journal of the American Aging Association, found that a single 45 minute endurance workout could boost your antioxidant system, especially if your in between the ages of 18-25. In the study, participants rode a stationary bike for 45 minutes at an intense level, then underwent tests that produced oxidative stress the following day resulting in an improved response to oxidative stress. What are some great ways to train for endurance? 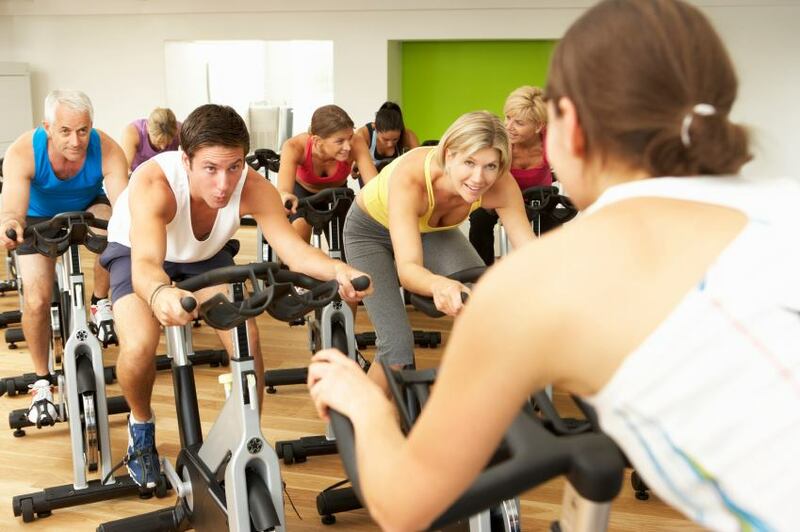 Try taking one of our cycle classes or add in more cardiovascular exercises into your training with the elliptical, treadmill or stationary bikes. Aren’t a fan of intense exercises? Don’t underestimate the power of moderate exercise activity either! Every workout does not have to be strenuous and hard to complete. For those of you who engage in a few hours of moderate exercise per week, rest assured, you will still be eligible to reap many health benefits. According to a 12 year study published in The Journal of Neurology, 43% of people who exercised for at least 6 hours of moderate exercise per week were able to greatly reduce risks for developing Parkinson’s Disease and were less susceptible to developing blood pressure issues. The “fitter” you are, the better your chances are of fending off hypertension by at least 20%! That’s a huge benefit for a small added bit of moderate exercise a few days a week! Exercise also releases endorphins, “the happy hormones” that ease anxiety and stress and create an overall sense of happiness while elevating your mood. Whether your goal be to increase muscle, bone density, elevate mood, lose fat or build endurance and stamina, Bailey’s is here to help you reach your goals while fitting in a few days of exercise into your busy schedule. Music is powerful! It can take you back in time, flooding your mind with memorable moments. It has the ability to relax the body and mind while gently reducing tension and stress. Music therapy has been discovered to improve the ability of coping with chemotherapy in cancer patients, not to mention its ability to motivate the body and mind, building resilience and strength. Many even enjoy listening to soothing music during meditation and yoga practices to bring the body to a calmer “grounded” state of mind, simultaneously enhancing your body and mind connection. When exploring new ways to revamp and enhance your exercise program, it may be worth your while to incorporate an upbeat playlist to your iPod for an extra boost of motivation and energy in your training. 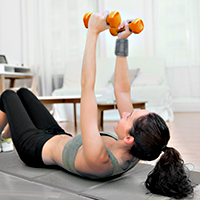 In the past, music was simply used as background noise in fitness training videos or classes. Today, we have integrated music as a dominant branch of fitness. Classes like Zumba focus on innovative dance rhythms and light-hearted beats as a base to engaging workouts. Even in the expansion of cycle and spin classes, Pilates, Ignite, mediation and yoga (as mentioned earlier) it is apparent music is incorporated as one of the strongest motivators in the fitness industry. It can inspire movement, showcase personality, lift your spirits, and even make an intense workout seem less challenging. A recent study from the University of Amsterdam experimented by applying music to workout programs to elevate the heart rate in exercisers. The system performed in the study was named the “pace-influencing mode system” and was used to motivate the participants in maintaining their target heart rate for a specific amount of time using a four-step method. Match the tempo to the exercisers’ stride and frequency to ensure the connection between the two. Determine the heart rate goal, and the stride frequency and tempo subgoals. For example, if the chorus of the song is a slower beat, the exerciser may reduce speed during chorus and increase speed after bringing the heart rate back to the fat burning zone. Propagate the tempo-to-tempo subgoal desires. Wait for heart rate stabilization. The system flows through the steps until the exerciser has reached the goal of matching their target heart rate with the tempo of the music. Like high intensity interval training (HIIT) or sprint intervals, music can be a fun yet powerful tool in increasing endurance and speed while promoting fat loss and muscle toning. At The National Center of Medicine and Science in Sports (CNMSS), a recent study has highlighted music to improve motivation in athletes and reported a motivational effect linked to music correlation, with exercise and positive self-esteem and confidence levels increasing just from warming up to upbeat songs! Additionally, the power of the tunes reduced perceived exertion throughout exercise and facilitated stronger motor coordination. According to the CNMSS, athletes may benefit from the power of music on both a physiological and psychological level, and improve overall health and well-being. Overall, listening to music has the ability to amplify your workout, helping you to perform at your absolute best. Tuning into your playlist may help distract you from any discomfort as you push through the last few reps and sprint to reach your peak rate heart. 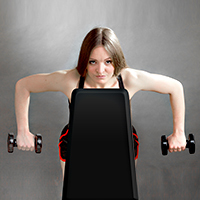 Get in the zone and watch your body transform while having an enjoyable workout experience! Be creative and integrate new songs and artists on your iPod every few weeks to keep your body and mind engaged and blood pumping hard! On the other hand, if you have a difficult time clearing your mind for a relaxing yoga or meditation session, try implementing soothing tunes to your practices to put your mind at ease. Apps such as 8tracks, Pandora, and iHeartRadio may be useful in helping you select specific music genre playlists related to your specific taste. Now, what are you waiting for? Put your headphones on, get your playlist set, turn the world off, and get in a mind-blowing workout! Physiology of sport and exercise: Study guide. (2000). Champaign, IL: Human Kinetics.